Welcome to Darlington CAMRA’s website. 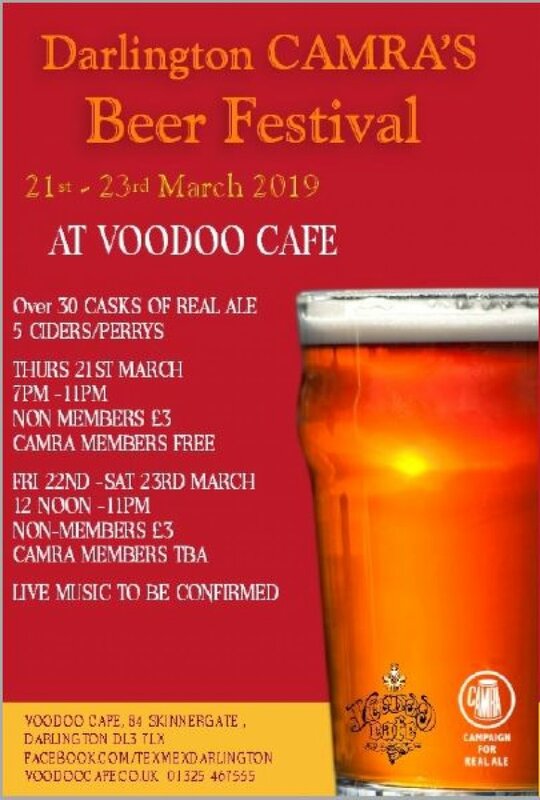 of the work we do and our contribution to CAMRA campaigns nationally in our area. and northwards up into parts of County Durham. Branch area, usually on a Friday night. other Festivals run by neighbouring Branches and local pubs and organisations. Our campaigning issues follow those promoted by CAMRA nationally. provides a visible presence in local pubs and clubs of the Branches activities. Twitter/Facebook for more direct communication between members. Branch meeting minutes and Branch accounts. who fancy a bit of a Pub Trail around the town, including a handy street map.